Join us @ Fireweed for our annual 2nds Sale. What is a 2nd, you ask? These are one of a kind pieces, colour or design tests that are outside of our regular production. 2nds are sold at a discounted price but this offer is ONE day only. This is a great time to pick up truly unique pieces of glass art. 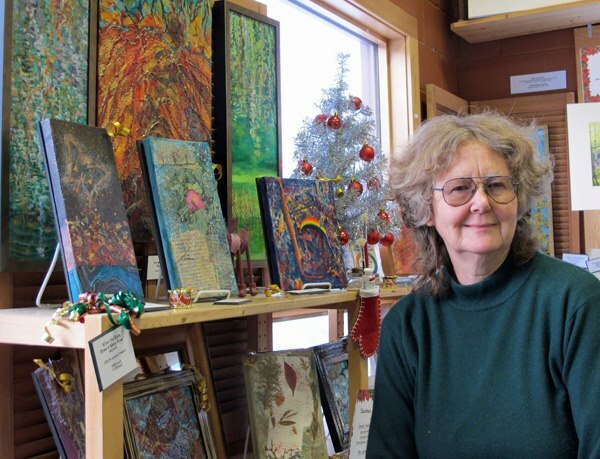 Canmore’s Artists of Elk Run, a group that promotes art and creativity on the east side of Canmore, will open their professional art studios to the public on December 1 and 2, 2018 during their 7th annual open studio weekend tour event. The 2018 tour features 10 studios and twelve artists who work in a variety of mediums including pottery, sculpture, jewellery, blown glass, photography, printmaking, painting, mixed media, stone carving, textiles and drawing.Special events planned for the weekend include ‘5-minute-experimental-portraits’ by photographer Alexis McKeown, a Saturday printmaking demonstration by Jennifer d'Entremont, glass blowing demonstrations at Fireweed Glass Studio both days of the tour, and more. Watch glass blowing demonstrations to see molten glass transformed into works of art. Demonstrations will take place 11 am to 4 pm on Saturday and Sunday. 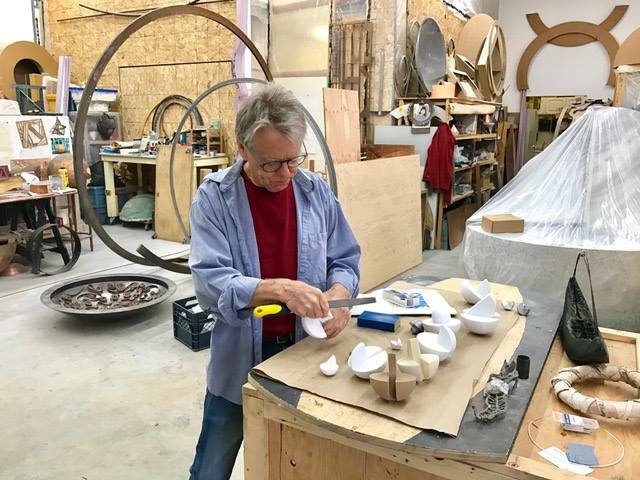 Tony will introduce his work in progress Orogens: The Canmore Formation, the Town of Canmore's public art piece to be installed in Spring/Summer 2019. Visitors can chat with Tony and see what’s involved in producing a piece of this scale and complexity. The ‘5-minute-experimental-portrait’ challenge will take place in Alexis’ photography studio during the tour and will incorporate multiple creative techniques to make portraits that are fun, unique and a bit outside the box. Jennifer will be doing a printmaking demonstration on Saturday, Dec. 1 from 11:30 am to 2:30 pm, using her studio press. 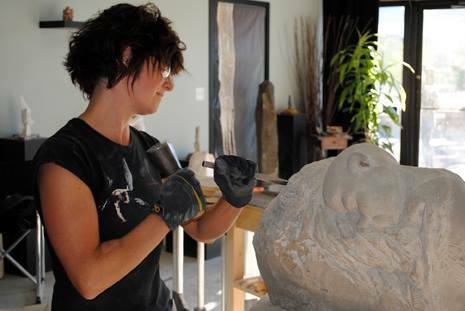 Peig will be hosting Monique DeNault, a guest artist from Calgary. Monique is a mixed media artist using Encaustic Medium, a blend of Beeswax and Demar Resin. Her latest work showcases birds of Alberta. Recommended by Artists of Elk Run: our faves in the neighbourhood! While not officially part of the Artists of Elk Run group, these neighbourhood stops are awesome! Wild Life Distillery: a favorite neighbourhood meeting place for artists and visitors alike. Wild Life will be hosting a special meet-and-greet reception for the public to join our artists after the tour on Saturday, Dec. 1, 2018 from 5 pm to 8 pm. Wild Life Distillery Tours also available on the weekend. 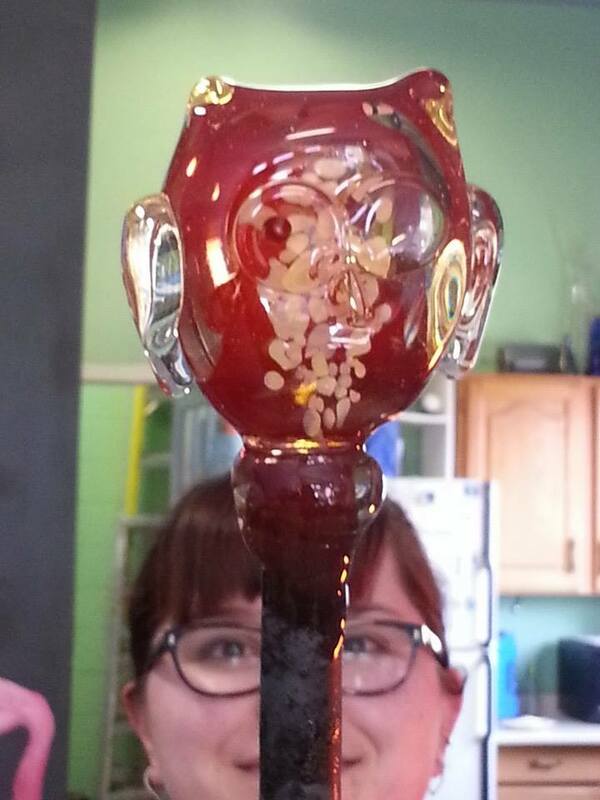 Watch for a specially-crafted Artists of Elk Run cocktail! #160, 105 Bow Meadows Crescent. Mountain Blends Coffee Roasters: Not usually open weekends, Mountain Blends will open specially for our open studio tour on Saturday, Dec. 1 from 10 am to 3 pm & Sunday, Dec. 2 from 11 am to 3pm! #11, 102 Bow Meadows Crescent. Valbella Gourmet Foods: A great destination to have lunch during Saturday’s tour, Valbella will be open from 9 am to 5 pm only on Saturday. Closed Sunday. 104 Elk Run Boulevard. Albertas largest holiday show, the Butterdome has been a staple for holiday shopping in Edmonton. Located on the University of Alberta campus, the Butterdome will be host to over over 250 artists and artisans from November 29th to December 2nd. The Handmade Here! Artist Collective has built its reputation on unique creations and one-of-a-kind handmade art, resulting in over a decade of art sales that are much anticipated in Calgary. The Handmade Here! Artist Collective has a dedicated following of Calgarians who come every year to the sale. This year, the 13th annual art sale takes place on November 17 and 18, 2018, in Calgary’s Triwood Community Hall. For those who are looking for distinctive gifts for Christmas, the sale offers a wide range of handcrafted art including painting, printmaking, jewelry, textiles, blown and fused glass, pottery, metal, wood and paper. “Calgary has several large tradeshow-type art markets, but our art sale has only 25 artists and an exclusive focus on handmade art. There are no imported items, and nothing is mass produced or mechanically reproduced,” Nuckles says. The 13th Annual Handmade Here! Christmas Sale provides Calgarians with a unique shopping experience but also the face-to-face experience of meeting the artists and finding out more about how the pieces were made. The sale is free to attend, and it’s recommended that people come early to get the best selection, as about 1,000 people visit the sale throughout the weekend. When Jill Nuckles, a graduate of the Alberta College of Art + Design, hosted the first sale in her home with five other artists, she had no idea where this gathering of talented creators would go. The response was overwhelming: new artists asked to join and the public attendance grew significantly every year. The group moved to the Triwood Community Centre after the sale outgrew Jill’s home location. Customers report loving the Handmade Here! sale’s personal and “homey” charm. Attendees are encouraged to browse at their leisure and take time to relax in a seating area with a complimentary beverage and homemade cookie. Free parking and admission complete the experience. Art Market has been a staple Calgary Christmas sale for many years. Knows for its high quality, join over 200 artists and artisans as they set up for this four day show. Located at the Telus Convention Centre in Downtown Calgary, the show runs from November 15th to the 18th. 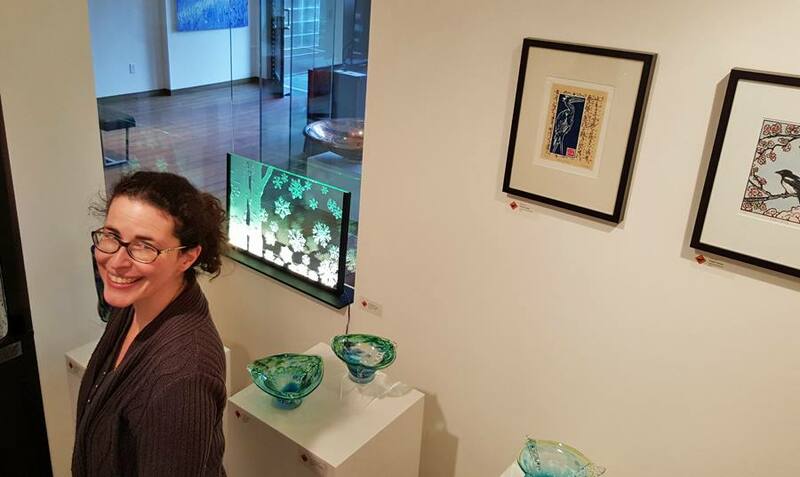 Come join Deanna McGillivray as she sets up her handblown glass work. Booth #312. Join us for our annual Studio Tour! Barbara Rumberger and Nicole Tremblay will be in Calgary at Handmade Here! For those who are looking for distinctive gifts for Christmas, the sale offers a wide range of handmade art including painting, printmaking, hand-crafted jewellery, fibre and textile arts, blown and fused glass, pottery, metal craft, woodcraft, paper arts, millinery arts, and custom fly fishing rods. Customers report loving the Hand Made Here! sale’s intimate, personal and “homey” charm. Attendees are encouraged to browse at their leisure and take time to relax in a seating area with a complimentary beverage and homemade cookie. Free parking and admission complete the experience. Open Saturday and Sunday 10am to 5pm. Free Admission. Twenty-six local artists* will showcase their work, with -- literally -- something for everyone! - ... even hand crafted fly fishing rods! Free admission, parking, and refreshments! 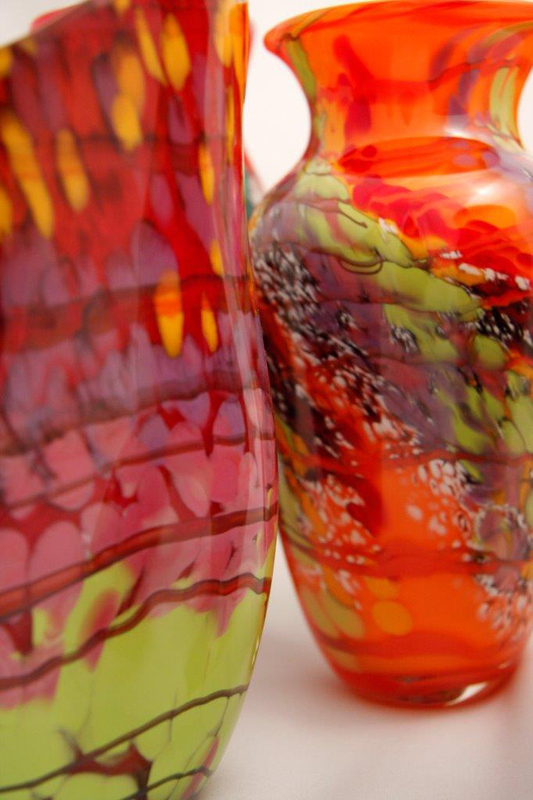 Visit Fireweed Glass Studio's booth at the Canmore Christmas Artisans Market! Say Hi to Deanna and Beth, and browse works by all our artists. Join over 80 artisans and artists from Canmore and surrounding areas, for the Bow Valley’s premier market of handcrafted items. Jewelry, photography, pottery, paintings, furniture, body products, clothing, fine foods, and so much more … we have the perfect gift for everyone on your holiday list — including you! Stay for a snack or lunch, several food vendors will be serving up sweet and savoury treats. Admission $3 in support of the Canmore Preschool Society. Established in 1988, this is one of Alberta’s premier markets. The Millarville Christmas Market has been extended this year to four full days of wonderful food, exquisite artisans and great events for young and old alike. This market has both indoor and outdoor events, including hay rides, a live nativity, carolers and more! So make sure to dress in layers so you can enjoy it all. There are even chestnuts roasting on an open fire! 1) Millarville Christmas Market, November 10 & 11th from 12-9pm, 12 & 13th from 10-5pm. Celebrate Alberta Culture Days at the Canmore Studio And Gallery Tour. Take in the varied and talented artists who call Canmore home! Artists and gallerists open their spaces, featuring live demonstrations and presentations. ROAM Transit will provide a FREE shuttle bus, starting at the Downtown 9th Ave bus terminal at 10 am. This bus will take you between the various galleries and workshops. Self-guided tour maps will be available at artsPlace, on the shuttle bus, and at all participating locations. Explore Canmore's artistic marvels on your own terms! We only do this once a year! Stock up on gifts and find something for yourself too! We need to clear out our shelves to make room for new work. Great deals on truly unique experiments and slightly flawed artwork. Gallery crawl down Main Street! As you walk the Elemental Tour, enjoy street performances, participate in an outdoor raku pottery firing, experience ice carving streetside, be awed by a wind themed LED light show, follow our travelling firespinner, and relax to some smooth jazz, all while experiencing the beauty of a mountain evening. Fallen Leaf; Will be opening a new exhibition of works on the theme of water entitled “Water Dance”. Resident artist Curtis Golomb will be painting onsite from 3-6pm during the opening. Fireweed Glass Studio is presenting their demo video in the boardroom (this includes a treat from Rudi Peet!). Printmaker Linda Cote will be demonstrating her lino cut technique from 3-6pm. Artists Barb Fyvie and Pascale Ouellet will be presenting an artist talk on their Fogo Island Project at 6pm, and will do a performance collaborative art piece from 6:30-8pm. Elevation Gallery; “Prescribed Burn” featuring senior gallery artists. Calgary painter Amy Dryer will be working in the gallery from 2-5. Carter Ryan Gallery; resident artist Jason Carter will be presenting his Water series entitled “Reflection”. He will be carving stone in the gallery from 2-6pm. Collect tickets from all 5 venues to attend the wrap-up cabaret free of charge. Featuring Bridget Ryan's "In Your Element" starting at 8:30pm. Bridget Ryan, alongside her ridiculously talented band, will guide you through an evening of hilarious song mashups, with the intention of bringing you to a greater understanding of yourself. Using everything from 80's music to showtunes to explore the 5 Element's of the Chinese Zodiac, you will be brought closer to understanding 'you’. If you are looking for a little enlightenment and some seriously big laughs, don't miss this show! The door opens at 8, and performance starts at 8:30. A glass of wine will be included with your ticket. Seats are limited to 80. First come first serve. If you want to make a day trip out here on the 27th for the opening, you can drop in to Fireweed Glass Studio and watch Deanna blow glass between noon and 4pm. Then grab some supper at one of Canmore's great restaurants. We especially love Tavern 1883, Aroma, and Thai It Up - all downtown, and The Market Bistro on Dyrgas Gate in the Three Sisters neighborhood where there are lots of walking trails if you want to get some fresh air. 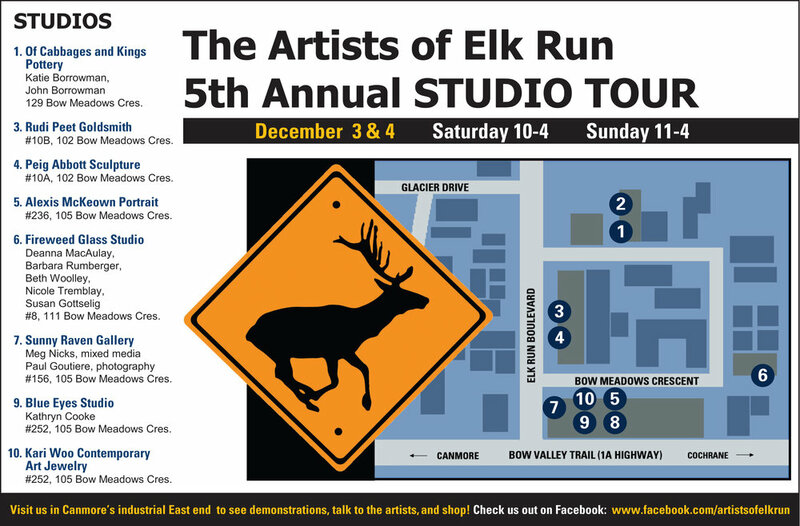 Self-guided tour of the Artists of Elk Run Studios. We are excited to welcome 3 new artists to our group: Kari Woo, Alexis McKeown, and Kathryn Cooke (Blue Eyes Studio). Meet the artists and see where and how they work. Shop for art - lots of great holiday gift ideas, it doesn't get more "Shop Local" than buying art from the maker where he/she made it! Pick up a brochure or a map at the Visitor Information Centre or any AER studio. The Map will also be published in the November 26 -PAGE 15 and December 3 editions of the Rocky Mountain Outlook. The Fireweed Glass Studio booth has moved to the gym this year. Once through the door, turn RIGHT, then LEFT around the corner, we will be halfway down against the wall. Join over 80 artisans and artists from Canmore and surrounding areas, for the Bow Valley’s premier market of handcrafted items. Jewelry, photography, pottery, paintings, furniture, body products, clothing, fine foods, and so much more … we have the perfect gift for everyone on your holiday list — including you! Stay for a snack or lunch, several food vendors will be serving up sweet and savoury treats. There will also be a free kids craft area! 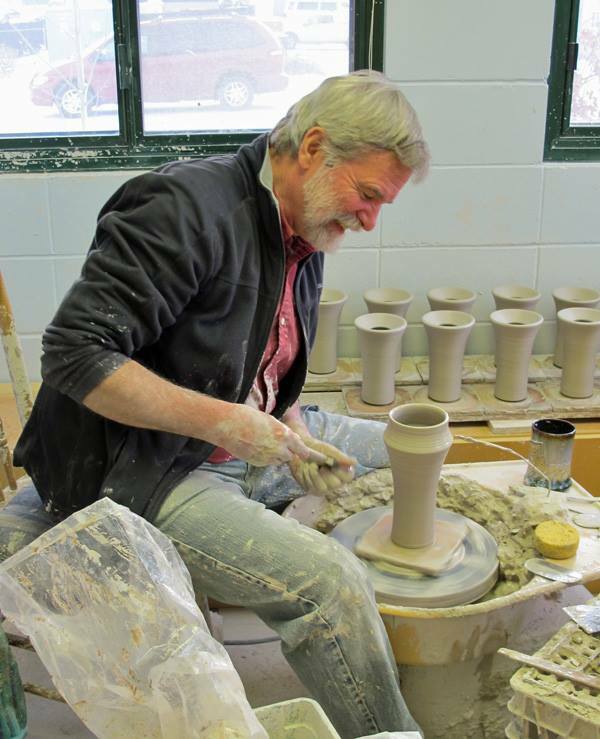 Visit artists in their studios, watch demonstrations, buy art and chat about our processes and inspiration! You can also visit the many galleries in Canmore that sell art.